Hey peeps. Welcome back to another Concord and 9th October Release post. 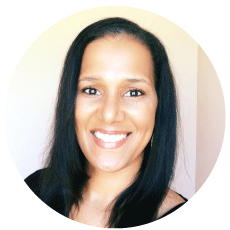 Today I’m sharing a few products with you. First we have the All Seasons Turnabout stamp set. 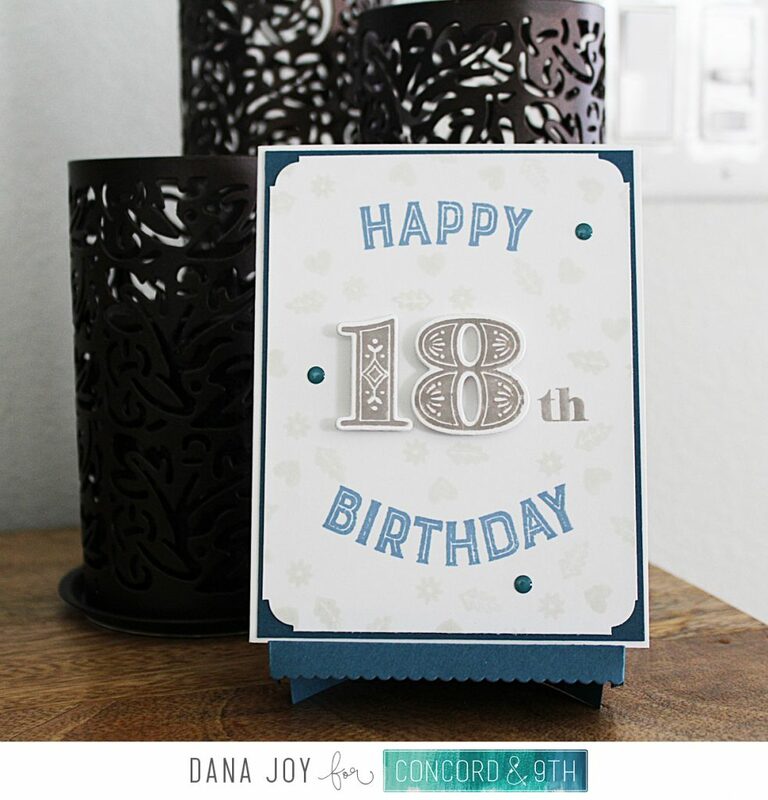 I paired this along with the Notable Numbers stamps and coordinating die cut to make this card. For my background I stamped the turnout stamp four times so create this soft background in barely beige ink on fog cardstock. 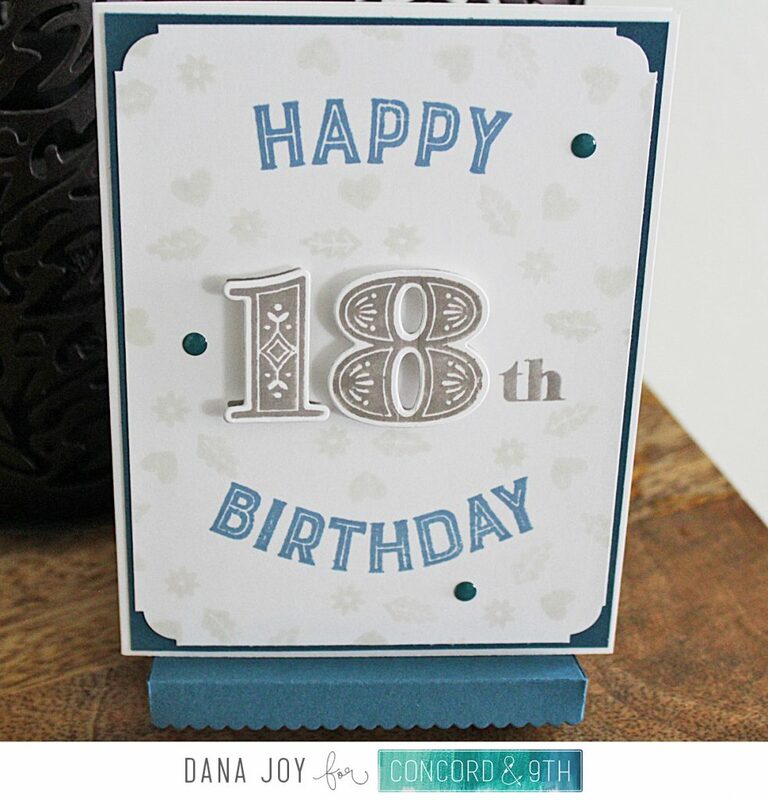 Next I stamped the happy birthday in caribbean blue on the panel using my Misti to curve my birthday stamp. 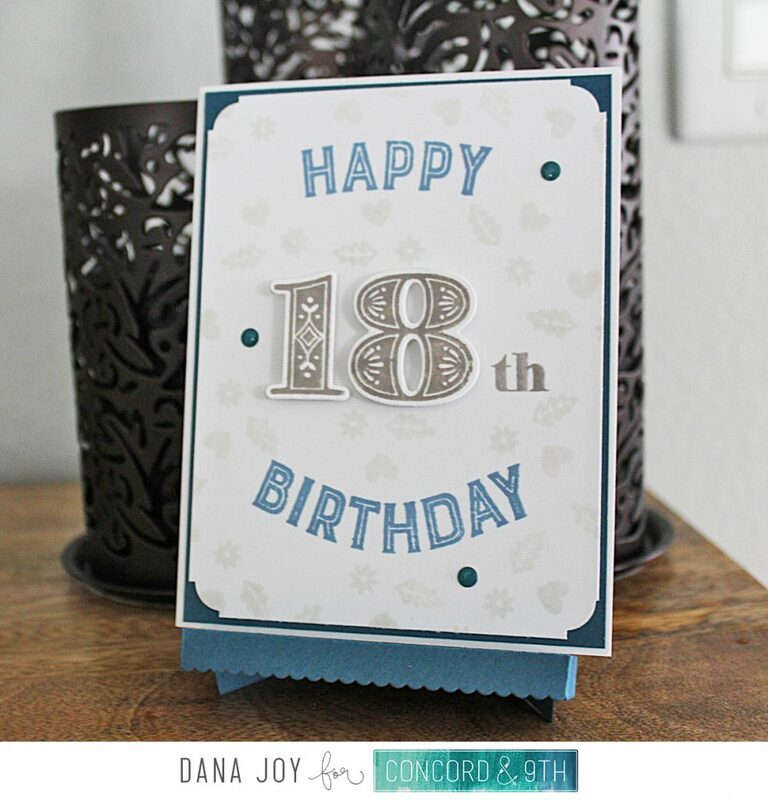 I used the Notable Numbers stamps and coordinating die cuts for the 18 which was stamped in cobblestone ink. The “th” was stamped directly on the card panel. I layered this on light navy cardstock and added some sequin before putting it all on a white card base. I also notched my birthday panel to add interest to the corners. 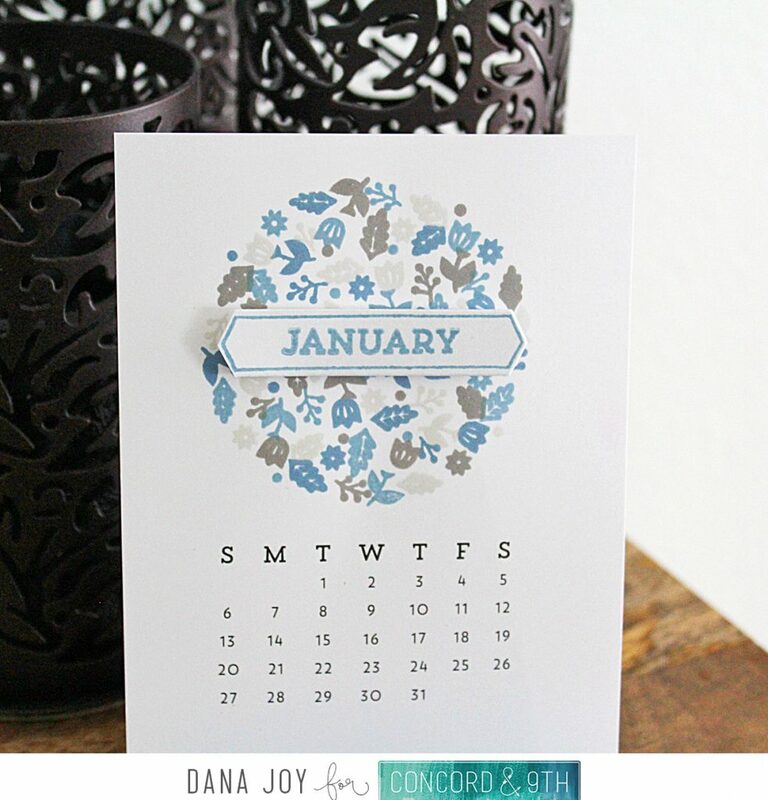 For my next project I used the new 2019 calendar along with the All Seasons Turnabout to make my decorative January calendar. 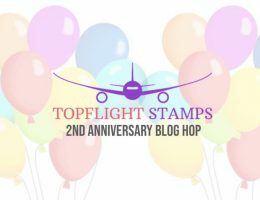 I stamped the images in Simon Says Stamp Caribean Blue, Barely Beige and Cobblestone inks. For a pop of blue I used Catherine Pooler Stone Blue ink. 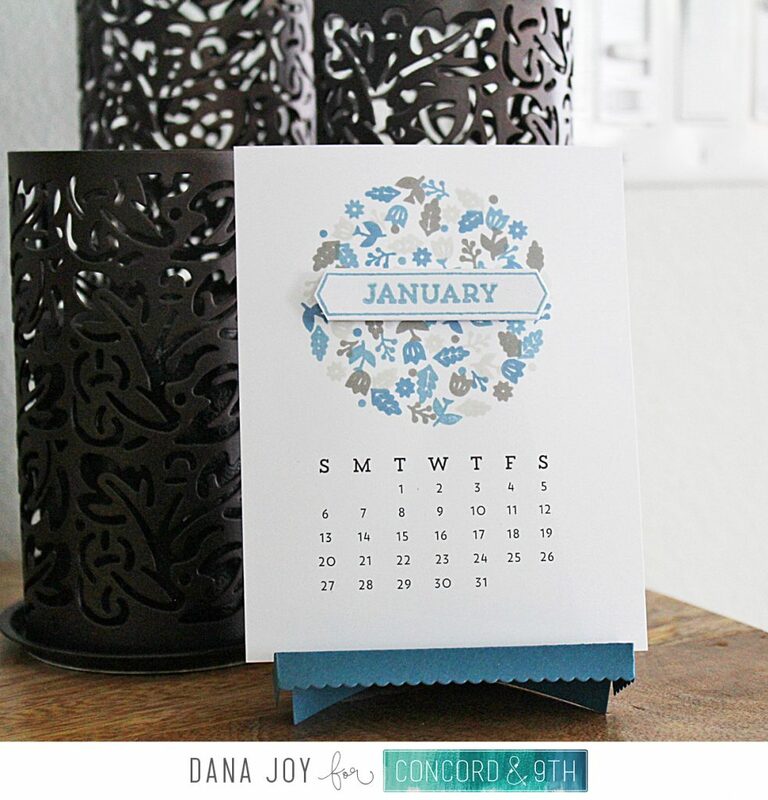 I used the monthly sentiments and the matching die cut to add the month to my calendar. 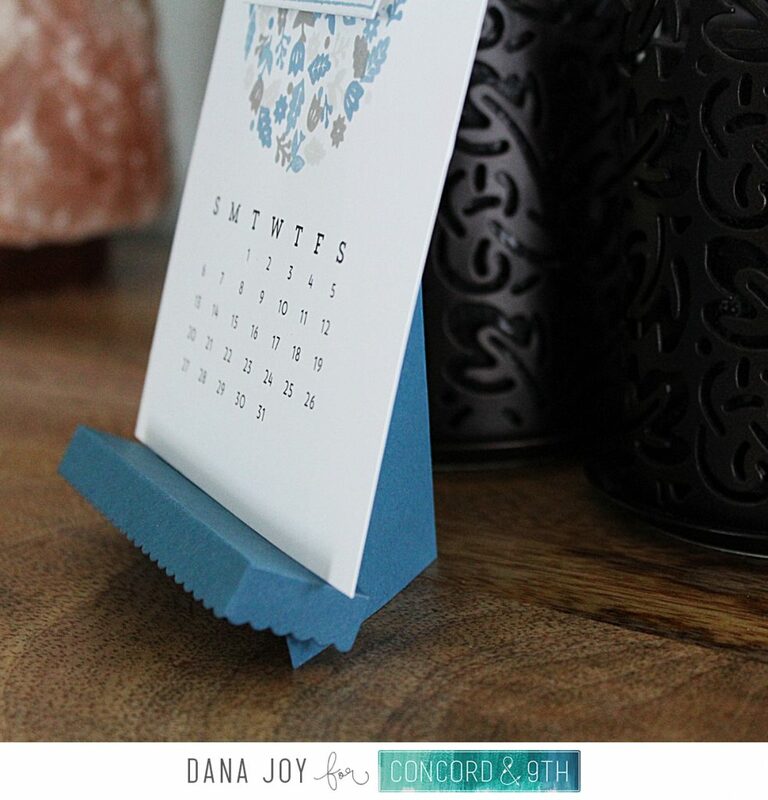 You can see this calendar sitting on a cute easel. This easel was made with the new easel die from Concord and 9th. 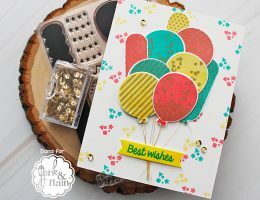 This die is so easy to use to create wonderful and colorful easels. You can also use it to display cards as I have done in the photos above. Thanks for stopping by today and don’t forget to head on over to Concord and 9th to see the other beautiful projects that have for you today.